I believe deep within my spirit that God created us for incredible health & vitality and desires for us to look to nature to provide the resources for health & well-being. Our society has been trained to look first to man-made interventions and treatments. However, I believe we honor and glorify Him by looking to His creation for the answers to our health goals. The more I study nature, nutrition, human physiology and biochemistry, etc. the more His majesty comes alive in my body, mind, & soul. Discover what I believe to be God’s natural chemotherapy. 1. Indole-3 Carbinol: A powerful antioxidant that scavenges free radicals in the body. It plays a very critical role in liver detoxification by inducing hepatic cytochrome P450 monooxygenases. This reaction affects estrogen metabolism by increasing the production of the chemoprotective estrogen 2-hydroxyestrone (1, 2). Additionally, it has been shown that I3C inhibits aflotoxin-DNA binding and arrests the G1 growth phase of cancerous human reproductive cells (3). It has also shown benefit in the treatment of Systemic Lupus, an autoimmune disease related to faulty estrogen metabolism (4). 2. Isothiocyanates: (Phenethyl Isothiocyanate & Sulforaphane) Shown to induce apoptosis (programmed cell death) in most cancer cells including drug-resistant leukemia cells. The p53 gene is considered the “guardian of the genome,” due to its role in regulating the cell cycle and suppressing cancer formation (4). This is an example of a natural chemotherapy agent in action. Increased levels of oxidative stress creates a mutation of the p53 gene which promotes cancer cell growth. Isothiocyanates have been shown to destroy mutant p53 genes (5, 6). Broccoli sprouts are considered the best source of these powerful compounds. 3. Lutein & Zeaxanthin: These 2 carotenoid anti-oxidants are very similar in chemistry and function. These 2 powerfully reduce oxidative stress, inhibit cancer cell formation, and induce cancer cell apoptosis (7, 8). These substances are found in abundance in kale, spinach, brussel sprouts, & broccoli. Eat More Cruciferous Veggies: Include a lot of cruciferous vegetables in your diet everyday. Juice Your Greens: Juice cancer fighting foods to get the most concentrated form of these powerful nutrients. Juicing helps to maximize nutrient absorption while liming stress on the digestive system. When their is less stress on the digestive system, the body is able to heal more effectively. Use Sprouts: Sprouts are the most nutrient dense. Use broccoli sprouts regularly. Lightly Cook Your Cruciferers: Steam or lightly boil these veggies to break down fibrous outer shell. I love to top them with grass-fed butter, which is rich in fat soluble vitamins such as lutein, retinol and conjugated linoleic acid, which have anti-cancer activity. Additionally, I recommend putting lemon juice or apple cider vinegar on afterwards to add anti-oxidants and begin the digestive process and cover them with herbs like basil, oregano and thyme. Marinate Your Veggies if Eating Them Raw: Marinate your veggies in apple cider vinegar for 30-60+ minutes to soften them and maintain all essential nutrients in their raw form. Fermented Veggies: Consuming fermented cabbage recipes such as sauerkraut and kimchii is one of the best ways to get these natural chemotherapy nutrients along with tons of live enzymes and probiotics into our bodies. Consume 1/4 cup of these daily and more if you are battling cancer or trying to detox from chemotherapy. Learn more about the most amazing natural chemotherapy superfoods, how to juice and alkalize your body, increase your oxygenation and become a living, breathing cancer crushing machine through the Cancer Cleanse program. You can download our free Cancer Cleanse guide and get access to a free video training series emailed to your inbox to see if this program is for you. Your body has an incredible healing power within it. In 9 months, while we were in our mothers womb, we developed from 2 cells into trillions of living, breathing cells. 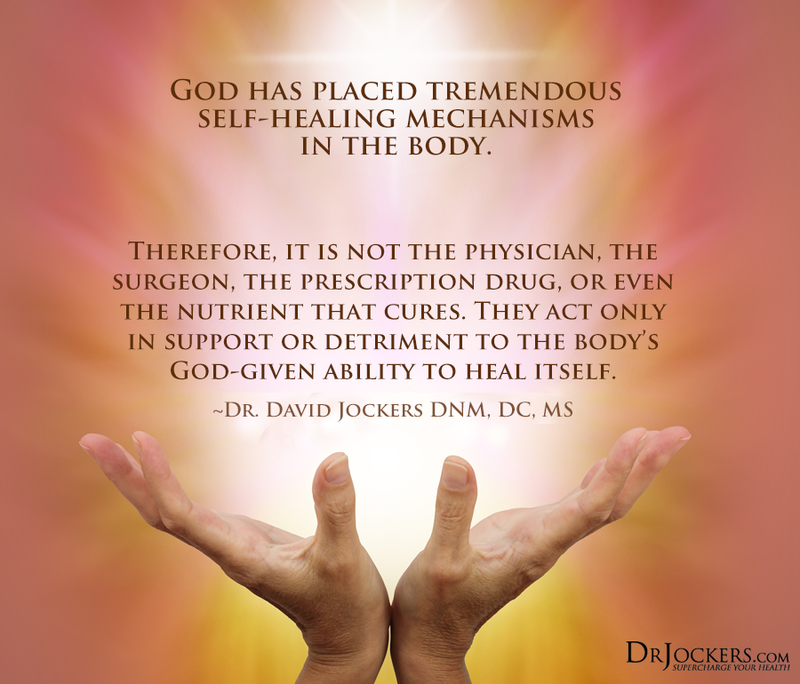 Our bodies can truly heal! We have to remove the toxic thoughts, chemicals and stressors on our system so we can heal as designed. I believe that a cancer diagnosis or a major health scare is actually an opportunity to change our thinking patterns, to draw closer to God and to learn to master our mind, body and emotions. It may be tough to see, but many people who have overcome chronic disease have reported that the diagnosis and the suffering they endured, helped open their eyes to a new way of life that is so much better than what they had settled for in the past. I pray that you will begin by spending each day, desiring to see yourself as God sees you. No matter what you have done in the past, He sees you as His son or daughter. You and I are His children and He desires a deeper personal relationship with you. Perhaps, He wants you to search deep and forgive those who have wronged you or He wants you to open yourself up fully to His love. Whatever it is, He doesn’t want you to live in fear, but instead to choose love and faith in His healing power! There’s a quiet health revolution brewing right now. And it involves one of our greatest foes on the planet… cancer. The reality is, we’ve all been fed quite a bit of nonsense when it comes to the “treatment” of cancer with conventional methods. That’s enough to strike fear in anyone! But what if I told you there was a whole different universe of cancer treatments and prevention? They do exist, and their stories are absolutely amazing. The Truth About Cancer® team traveled through 7 countries in Asia – the birthplace of natural medicine – and they have documented their discoveries in an amazing 7-episode documentary. It’s worth a few minutes of your time to watch the video. You’ll be glad you did! This ground breaking cancer documentary takes you through Asia to learn from experts getting breakthrough healing with terminal cancer cases. 8. Bi M-C, Rosen R, Zha R-Y, McCormick SA, Song E, Hu D-N. Zeaxanthin Induces Apoptosis in Human Uveal Melanoma Cells through Bcl-2 Family Proteins and Intrinsic Apoptosis Pathway. Evidence-based Complementary and Alternative Medicine : eCAM. 2013;2013:205082. Beautiful visuals and great rundown of just why and how these cancer-fighting foods/substances work. Also, what a wonderful affirmation of a simple, radiant (I believe) Central Christian Truth: that we are made to reflect and truly enjoy and experience the fullness of health and the enjoyment of the endless delight of delicious nurture, robust self-care and cultivation of God’s great earth. This daily care and husbandry of Creation often gets such short-shrift these days…we are so easily distracted from the what’s palpable, challenging, engaging…necessary-even urgent to maintain balance, beauty, harmony & health in our lives-to love ourselves and others more fully-richly. Thanks for the great feedback Victoria! I totally agree! Blessings! Have you by any chance considered taping this conference to make it available to those who are unable to attend? One thing you may want to try is foot detox to clean the body of chemicals and clean the organs in the body. It draws infection and inflammation out as well as cancer cells. Find someone in your area that offers this. Or research it on the net. The machines that do this can cost around $1200. Some spas or massage places may offer it. I strongly urge you to try this. God bless! I’ll be interested to see replies as I have a dear friend with stage 4 lung cancer too. His story is about the same as yours. I had stage 2 breast cancer. I’m 2 1/2 yrs out now and doing ok but it was brutal. Still tired and weak and gaining weight like crazy! I have a friend who did have a mastectomy but she chose natural instead of chemo and radiation. She eats all fresh fruits and veggies, a little wild salmon and organic chicken. No grains, no sugar and no red meat. She is in amazing health! She actually glows! She prays a lot on her morning walks and is so positive and calm! Her tumor mark test recently came out the lowest the doctor had ever seen and 10 months ago she had cancer! The difference in her is amazingly good!!! Her doc gave her Vit C and turmeric drips twice a week while instead of chemo! So amazing!!! God bless you! Praise God for your friend’s story Sharon! That is so awesome! Praying for you Melody! I would recommend finding an integrative health center near you where you can get IV treatments for Vit C and glutathione, hyperbaric oxygen and more. 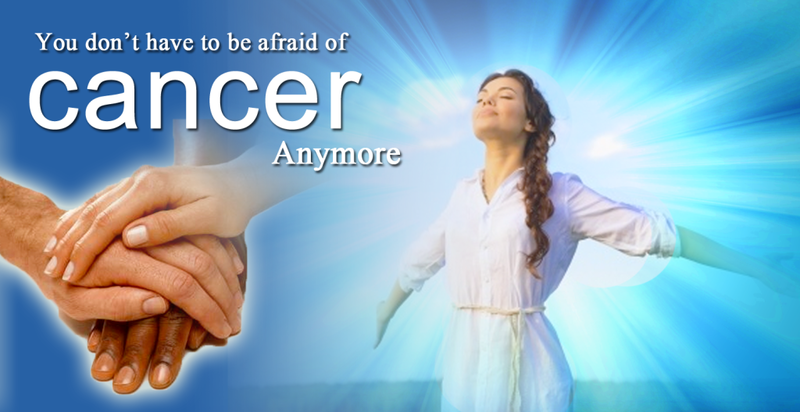 These therapies have turned around very fast growing cancers in the past and will give you the best chance. Prophet Muhammad said that Allah has send down a cure for every illness and disease, whoever knew it knew it and whoever missed it missed it. Thanks for the discovery today of your website! I’m in a quandry as to how to regain my health and energy and am trusting God to help make right choices with a more natural approach to healing. Two years ago, I suffered through C.dif without being advised to increase my probiotics. Presently, my doctor has me on a 2-week antibiotic program to kill all intestinal bacteria and then start over with a100-billion strain of probiotics. I’m also on the FodMap diet. For the past two days I have been suffering with severe diverticulitis, and would appreciate your suggestions as to how I might restore my health naturally. Good health and vitality have always been a great blessing until recently. I would be very grateful for your suggestions, and I so appreciate that you draw your wisdom from our Creator God!!!! Hey Janeen, So sorry to hear about this. This sounds like it would be best suited to go through a coaching plan as it is hard to make any specific recommendations without more information.